View More In Crossover Parts. 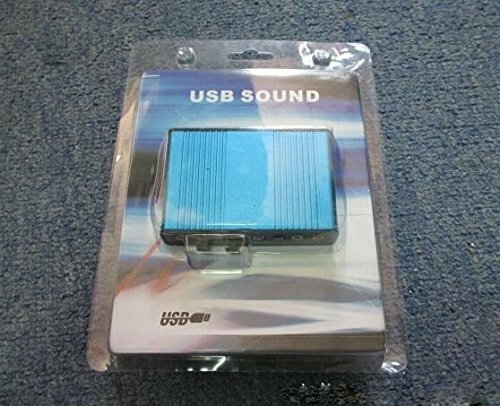 USB sound is and USB audio controller. It supports 32KBz, 44.1khz. (which two need driver or application software support) and 48Khz sampling rate in digital recording, 48KHz sampling in digital\analog audio playback. In digital playback mode, itreceives audio stream form PC via USB interface and transmits audio data according to the AES\EBU, IEC60958, S\PDIF cnsumer interface standards. Only R L channel PCM audio in 5.1 channel can be conveyed in digital playback mode. In digital recording mode, it receives S\PDIF digital audio input and sends back to PC through USB. Three sampling rates, includes 32KHz,44.1KHz are automatically locked internally. In analog recording mode, fixed 48KHz sampling rate issupportedby analog audio recording. If you have any questions about this product by Dragonpad, contact us by completing and submitting the form below. If you are looking for a specif part number, please include it with your message.